Signature Home Watch of Jupiter, FL, earns third-year accreditation from the NHWA! Signature Home Watch of Jupiter, Florida, has earned accreditation from the NHWA for the third year. I’ve met Rob Burton several times, and we talk frequently. I will tell you that he is very committed to his company and to the NHWA. Rob moved to Jupiter in 2014 from Boston, Massachusetts. Having lived on the coast, he has experienced all types of weather climates: hurricanes, Nor’easters, blizzards, sub-zero freezes, heavy rains, and high summer temperatures. 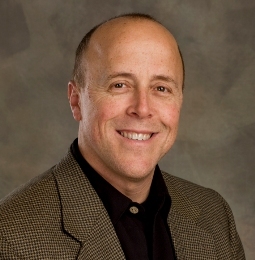 Owning various single-family homes and condos for more than 30 years, Rob is very detail-oriented in dealing with most home-ownership issues. He understands the anxiety residents feel when they leave for extended time or use their property as a vacation rental. He says it is not a question of if, but a question of when, an issue will arise in a client’s absence. So, he began Signature Home Watch to offer peace of mind to their snowbird, second home, vacation, and investment property clients. Rob has built business relationships with local companies that can deal with home ownership issues. From roofers to AC contractors, from power washers to pool service providers, Rob is happy to provide referrals. Signature Home Watch is the trusted advocate for its clients and their properties in their absence. Rob lives in Jupiter with his wife and loves the South Florida outdoors life. You might see Rob running along Ocean Drive in Juno Beach boating on the Intracoastal, or talking about his next dive, since he became SCUBA-recertified last year. Signature Home Watch serves Jupiter, Jupiter Island, Tequesta, Juno Beach, Palm Beach Gardens, North Palm Beach, Singer Island, Hobe Sound, and West Palm Beach. Rob can be reached at (561) 846-2988 or info@SignatureHomeWatch.com. 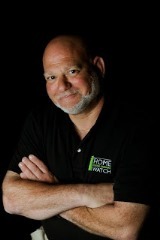 Learn more at his website, www.signaturehomewatch.com.